This was how one parent described hearing family ministry champion and author Ellen Schuknech speak. Fresh from recording a Focus on the Family broadcast related to her new book on disciplining children, Mrs. Schuknecht made two presentations at LPA this week. She shared multiple things to do (and not to do) in the training of young people to address both justice (what should be done) and grace (allowance during training and growing). She emphasized the ultimate value of addressing each student's unique character needs through the academic endeavors, rather than to focus primarily on the academic work. Students are in parental training to build muscle in perseverance, patience, peace, boldness, willingness, etc. Mrs. Schuknecht emphasized a need for young Christian people who have the "grit" to face an increasingly more difficult world. This year's theme verse, Ephesians 4:1-3, has taken a front and center focus in morning gathering devotions for these first few weeks of school. 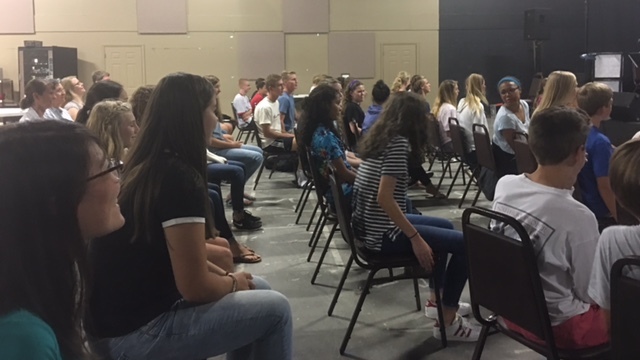 During this time, Mr. Miller has led students and staff in devotional notes about what it means to "walk in a manner worthy of the calling" and how to prepare for the walk. 1. Ephesians 4 takes place after Ephesians 1-3. Before we can walk according to Paul we must sit in the blessings that we have been given by the Father in Jesus Christ by way of the Spirit (see Ephesians 1:1-3:21). 2. “I therefore, a prisoner of the Lord”: Paul gives himself as an indirect example of worthy walking. He is a “prisoner of the Lord”. Keep in mind that our lives provide those around us with examples. Look to the people who are walking in worthy manners. Imitate them. 3. “urge you”: The word in Greek for urge is best translated as “called”. With this in mind we see that this verse actually uses the concept of “called” three different times. Paul wants us to be dwelling upon our calling. 4. “to walk in a manner worthy”: The phrase, worthy manner, draws up the picture of scales. As we put God’s calling on one side of the scales and we drop our lives on the other side there should be a balance. This should be a sobering concept. Verses 2-3 tell us some characteristics of “worthy manner walking”; humility, love, peace, unity, patience, and gentleness. 5. “of the calling to which you have been called”: Our two-fold calling can be found in Ephesians 1:18-19. First, we are called to become a “glorious inheritance” for God Himself. He is making you into an inheritance for Himself and the descriptors He gives of us is “glorious” and “riches”. Second, we are called to know the greatness of His power that He has shown to us through the many things He has done on our behalf in Christ Jesus. 6. How can we live up to this kind of calling? How can we walk out this calling? Ephesians 3:14-21 is a prayer that Paul prays on behalf of the Ephesians and any who strive to walk out their calling in Christ. Strength and power to walk comes from the Spirit of God. Christ dwells in our hearts through faith. We are filled with the fullness of God. Not only does God call us to walk but He gives us the ability and desire to walk. May we all be strengthened by His Spirit to walk in a manner worthy of the calling to which we have been called. Amen. 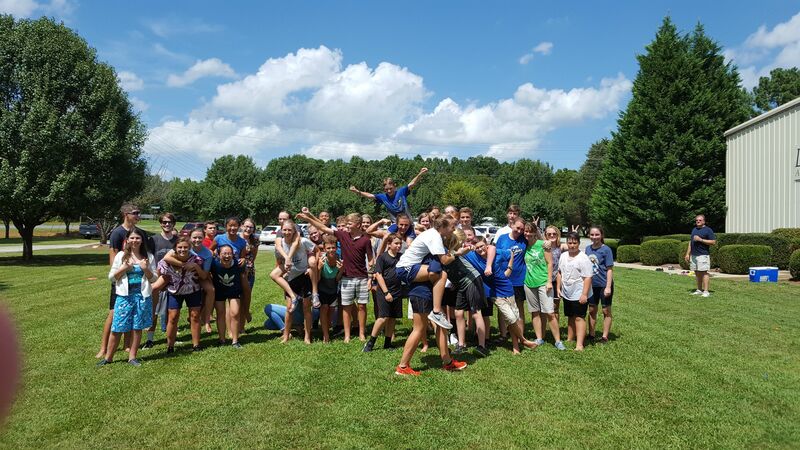 LPA Secondary students relived the battle of Waterloo through water balloons. 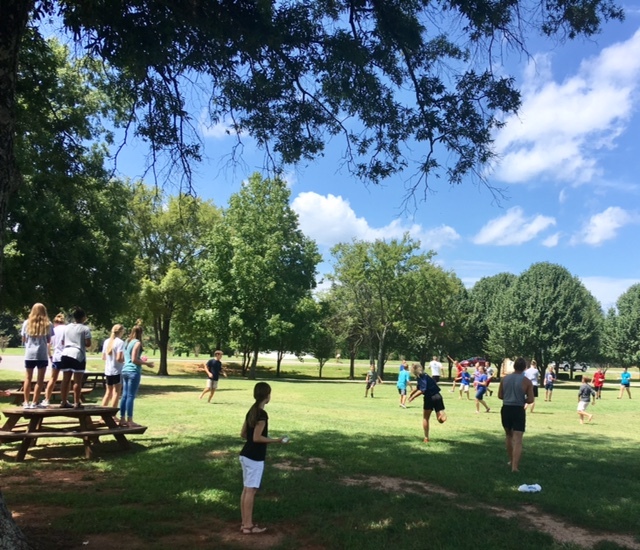 In this semi-educational fun in the heat, teams reenacted Napoleon's battles with water balloons. Teacher served as Napoleon and generals and the students were their armies. 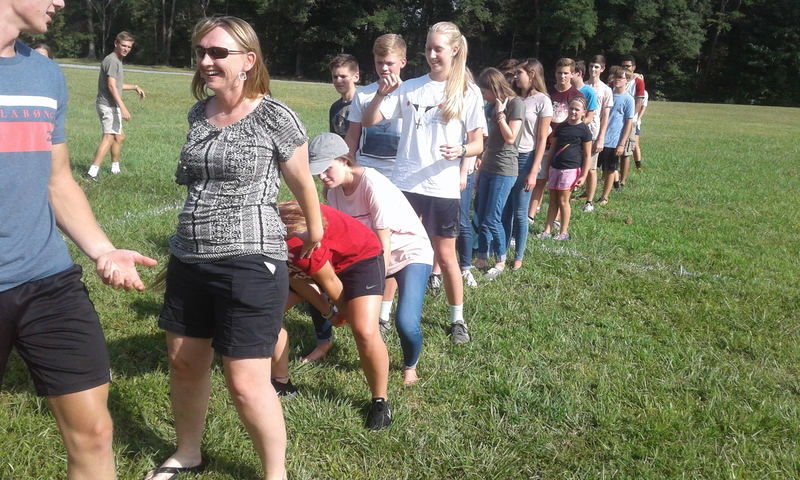 While the battle reenactments were the main attraction, the heart of the event took place just before as students and staff brainstormed ways that they could fundraise to build a well in a place of need. Life giving water will be one of this school year's main service focus.